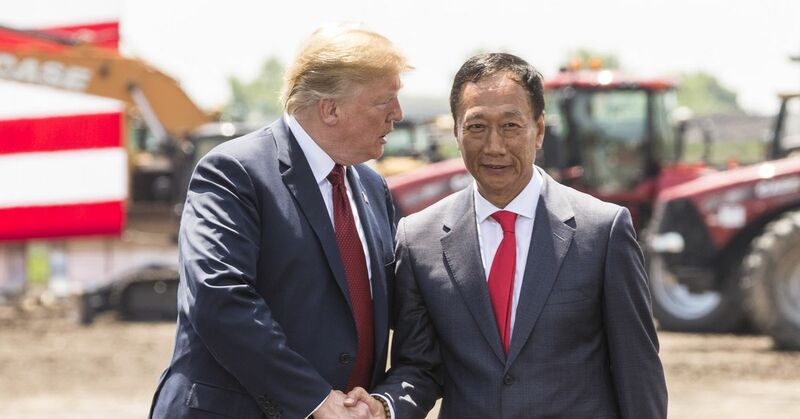 Just days after he announced that he was going to descend from his 45-year-old fox as a Foxconn boss, Terry Gou has declared a bid to run for president in Taiwan. Gou, 68, will participate in pro-China Kuomintang (KMT) primaries, paying attention to Taiwan's tensions with the mainland where Foxconn has great business. Gous's run would try to eliminate the current Taiwanese president Tsai Ing-wen from the Democratic Progressive Party (DPP), who has leaned against Taiwanese independence from China. "I'm willing to participate in the primary election," said Gou at the party's headquarters in Taipei on Wednesday. "If I am not selected, it means that I did not work hard enough." Gou said he was encouraged by the Buddhist goddess Mazu, who is said to influence safety and happiness, during a temple visit to participate in races. "If I am not chosen, it means that I did not work hard enough." If nominated, Gous's candidacy gives rise to several concerns. While he successfully built Foxconn in one of the world's largest Apple, Google and Amazon vendors of technology products, he has also criticized poor employee conditions and the uncertain future of Foxconn's Wisconsin factory. Nevertheless, Gou leans in his business relations with the mainland and the United States as forces as he prepares to take on more traditional political contenders, including former New Taipei mayor Eric Chu and former legislator Wang Jin-pyng.